Mold development in your Deptford, NJ property is not only unpleasant, but can be very dangerous and damaging. Mold can lead to health implications. In addition, the water damage associated with mold will wreak havoc on your building structure and diminish the structural integrity of your South Jersey property. When it comes to mold, MasterTech’s certified team of experts understands and appreciates the risk that you and your family are up against. That is why we have taken every measure to carefully train each of our inspectors and technicians to handle all cases swiftly and efficiently while remaining mindful of you and you family’s safety and best interest. At MasterTech, we are devoted to providing a high quality, honest, and affordable mold removal Deptford NJ. If you are detecting signs of a mold contamination in your home or business, you should consider hiring a certified mold inspector to conduct a thorough mold inspection. 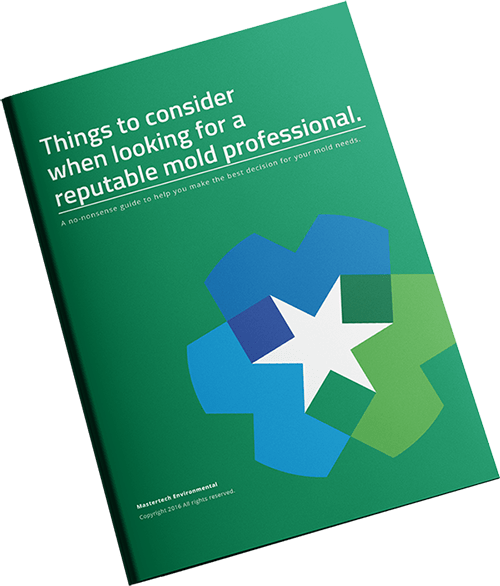 A trained and certified mold inspector in Deptford, NJ be able to determine if you have mold, how bad it is, how to properly get rid of it and how to prevent it from returning. Our mold inspectors undergo extensive training to ensure they are fully qualified to properly handle and report on your mold issues. MasterTech mold inspectors are trained to use the safest tools and methods to conduct a comprehensive evaluation of your property for any and all mold development. With the information gathered during the mold inspection, you will know if you will need to hire a mold remediation company for mold removal Deptford NJ. At MasterTech we always have you and your family’s safety and best interest in mind. It is very important to us that we provide the safest and most effective mold removal Deptford, NJ. Our team of specially trained mold remediation technicians are well versed in the most effective mold removal techniques and adhere to strict safety protocols. At Mastertech, we set high standards for our work, and our technicians are committed to meeting these standards on every job. We will never compromise safety or the quality of our for work any reason. Our mold remediation is broken down into 12 detailed and strategic steps to ensure that each Deptford, NJ mold remediation is completed at the highest standard from start to finish. As proof of our commitment to doing the job right, we always complete post verification testing to confirm that the job just done correctly. We also back every mold remediation with a 5-year mold removal warranty. The water source feeding the mold won’t always be as obvious as a major flood or a severe leak. Humidity, condensation and poor air circulation can prove to be adequate water sources to cause and sustain mold growth. Since most of your basement foundation walls are underground, they tend to seep or leak moisture through tiny pores and cracks. Most Deptford, NJ basements are constructed of cinder block, poured concrete or rubble walls. This leaves your walls vulnerable to leakage and seepage. The first sign of water intrusion is usually water staining or efflorescence. Efflorescence is the white, powdery substance that develops on the foundation wall surface. It often gets mistaken for mold. It is not mold. It is the result of water or vapor seepage which forces soluble salts and minerals to the surface. While efflorescence is not mold, it is a sign of water or moisture seepage which can cause mold. If you suspect mold or have damp conditions and a musty odor in your basement, call professional basement mold remediation company in Deptford, NJ. Most crawl spaces contain perfect conditions to support mold growth. Porous building materials and poor building envelope design play a huge role in most crawl space mold in Deptford, NJ. Many crawl spaces are poorly vented with undersized wall vents. Although this seemed like a great idea years ago when they were introduced and added to the construction code, they have made moisture and mold issues worse. In spring and summer, crawl space vents introduce warm air into cool crawl spaces causing condensation on wood and masonry building materials. The same effect happens during cold seasons – only in the opposite order. The combination of heat and poor ventilation can cause Deptford, NJ attic mold. If not properly ventilated, moist air gets trapped and infuses itself into the attic sheathing and rafters. This moist air can also increase airborne mold spore levels which can settle into insulation and on belongings stored in your attic. Proper attic mold remediation techniques are important to ensure that attic mold doesn’t cross-contaminate the inhabitable areas below during cleanup. Our process also minimizes or eliminates dark staining left behind by moisture.